Got a sore throat? The doctor may write a quick prescription for penicillin or amoxicillin, and with the stroke of a pen, help diminish public health and your own future health by encouraging bacteria to evolve resistance to antibiotics. It’s time to develop alternatives to antibiotics for small infections, according to a new thought paper by scientists at the Georgia Institute of Technology, and to do so quickly. It has been widely reported that bacteria will evolve to render antibiotics mostly ineffective against them by mid-century, and current strategies to make up for the projected shortfalls haven’t worked. One possible problem is that drug development strategies have focused on replacing antibiotics in extreme infections, such as sepsis, where every minute without an effective drug increases the risk of death. But the evolutionary process that brings forth antibiotic resistance doesn’t happen nearly as often in those big infections as it does in the multitude of small ones like sinusitis, tonsillitis, bronchitis, and bladder infections, the Georgia Tech researchers said. “Antibiotic prescriptions against those smaller ailments account for about 90 percent of antibiotic use, and so are likely to be the major driver of resistance evolution,” said Sam Brown, an associate professor in Georgia Tech’s School of Biological Sciences. Bacteria that survive these many small battles against antibiotics grow in strength and numbers to become formidable armies in big infections, like those that strike after surgery. “It might make more sense to give antibiotics less often and preserve their effectiveness for when they’re really needed. And develop alternate treatments for the small infections,” Brown said. 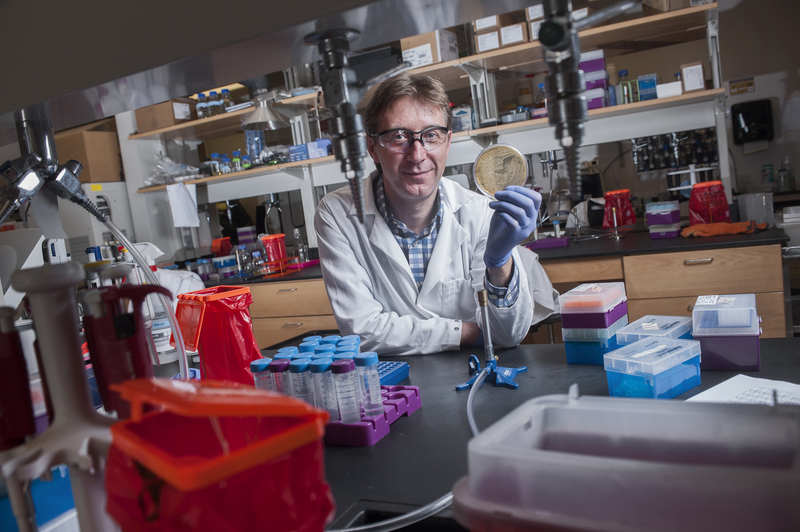 Brown, who specializes in the evolution of microbes and in bacterial virulence, and first author Kristofer Wollein Waldetoft, a medical doctor and postdoctoral research assistant in Brown’s lab, published an essay detailing their suggestion for refocusing the development of bacteria-fighting drugs on December 28, 2017, in the journal PLOS Biology. The evolution of antibiotic resistance can be downright two-faced. E. coli is widespread in the human gut, and some strains secrete enzymes that thwart antibiotics, while other strains don’t. A broad-spectrum antibiotic can kill off more of the vulnerable, less dangerous bacteria, leaving the more dangerous and robust bacteria to propagate. Much too often, superbugs have made their way into hospitals in someone’s intestines, where they had evolved high resistance through years of occasional treatment with antibiotics for small infections. Then those bacteria have infected patients with weak immune systems. Furious infections have ensued, essentially invulnerable to antibiotics, followed by sepsis and death. Drug developers facing dwindling antibiotic effectiveness against evolved bacteria have looked for multiple alternate treatments. The focus has often been to find some new class of drug that works as well as or better than antibiotics, but so far, nothing has, Brown said. Wollein Waldetoft came across a research paper in the medical journal Lancet Infectious Diseases that examined study after study on such alternate treatments against big, deadly infections. 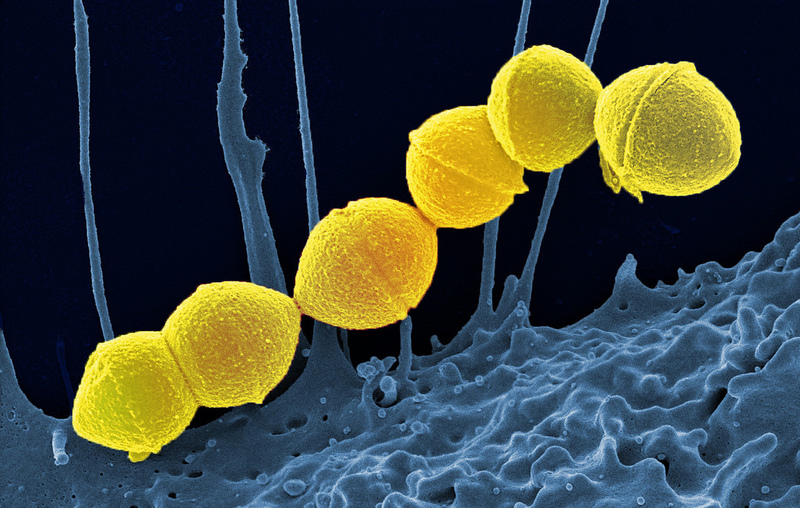 But the focus on new treatments for extreme infections has bothered the researchers because the main arena where the vast portion of resistance evolution occurs is in small infections. “We felt like there was a disconnect going on here,” Brown said. Developing non-antibiotic therapies for strep throat, bladder infections, and bronchitis could prove easier, thus encouraging pharmaceutical investment and research. For example, one particular kind of strep bacteria, group A streptococci, is responsible for the vast majority of bacterial upper respiratory infections. People often carry it without it breaking out. 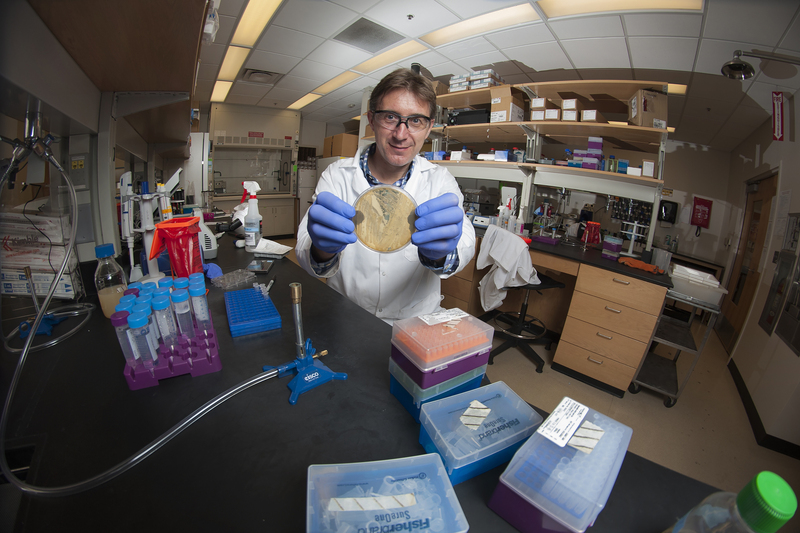 Strep bacteria secrete compounds that promote inflammation and bacterial spread. If an anti-virulence drug could fight the secretions, the drug could knock back the strep into being present but not sickening. Brown cautioned that strep infection can lead to rheumatic heart disease, a deadly condition that is very rare in the industrialized world, but it still takes a toll in other parts of the world. “A less powerful drug can be good enough if you don’t have serious strep throat issues in your medical history,” he said. Sometimes, all it takes is some push-back against virulent bacteria until the body’s immune system can take care of it. Developing a spray-on treatment with bacteriophages, viruses that attack bacteria, might possibly do the trick. If doctors had enough alternatives to antibiotics for the multitude of small infections they treat, they could help preserve antibiotic effectiveness longer for the far less common but much more deadly infections, for which they’re most needed. Research was funded by the Simons Foundation (grant 396001), the Centers for Disease Control and Prevention (grant OADS-2016-N-17812), the Wenner-Gren Foundation, and the Physiographic Society of Lund. Any opinions, findings, and conclusions or recommendations expressed in this material are those of the authors and do not necessarily reflect the views of the sponsors.